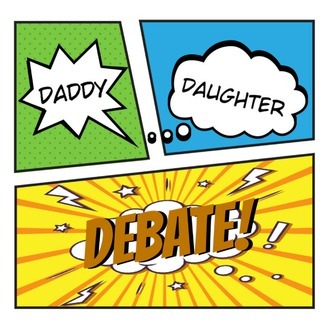 Daddy Daughter Debate is a podcast where a thirty-something Dad and ten year old Daughter debate various topics for their own enjoyment, we hope you enjoy it too! Tacos, burritos, and bowls, oh my! Daddy and Daughter discuss their favorite Mexican fast casual restaurants in this episode of Daddy Daughter Debate. 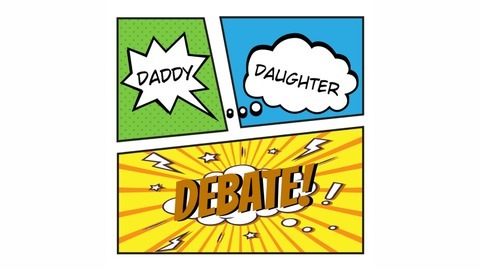 You can now get Daddy Daughter Debate on iTunes, Stitcher, Google, and Spreaker. Make sure you subscribe and rate us while you're there! Join the discussion at Facebook.com/3Dpodcast and let us know who you side with, give us your thoughts, and if you have a topic you'd like to hear Daddy and Daughter debate, let us know!